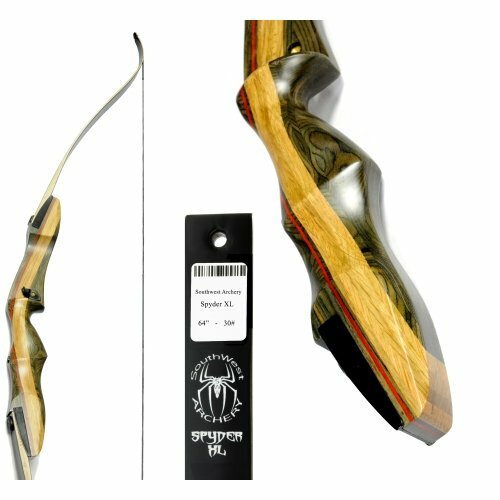 ​Selecting the perfect bow for you can be intimidating because of the ​numerous options available ​on the market. To make things easier, we’ve compiled a list of recommendations ​for the best ​beginner compound bows with an entry-level price for those ​interested in hunting, survival ​or ​just looking ​to get into archery as a hobby​. The ​ Bear Archery Cruzer G2 is a compound bow with a unique feature of an adjustable draw weight and draw range. It can be adjusted between 5 to 70 pounds worth of draw weight and between 12 to 30 inches of draw range. It has a string stabilizer and suppressor for a quiet and smooth shooting performance. Constructed out of durable and lightweight aluminum, it is a compound bow intended to last for years. 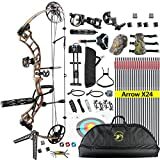 This compound bow is designed for novices just getting started with archery and for beginner hunters looking for a shorter bow. 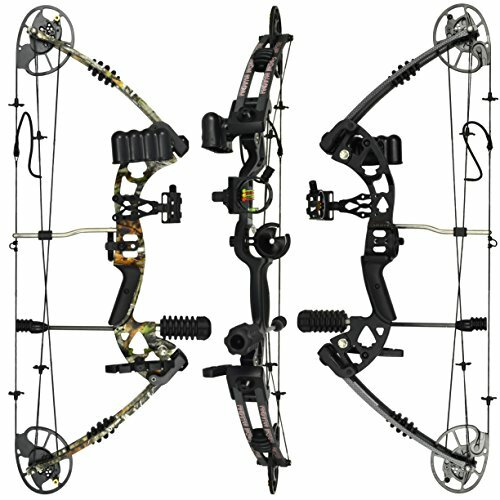 The Bear Archery twin cam system provides accurate shooting with an easy and smooth draw cycle. Unlike other lighter compound bows, drawing and shooting it won’t alert your prey thanks to the string suppressor and stabilizer. With its speed only at 31​5 feet per second, this could not be enough for professional archers and big game hunters who are looking for greater shot power. The ​ Leader Accessories Compound Bow was specifically for bowfishing and small to medium game hunting. It has four sight pins to improve your shot’s accuracy in varying distances of 20, 30, and 40 yards. With its dual cam system, it packs a powerful shot capable of taking-down your target in one hit when in ranges of up to 40 yards. Drawing it is smooth and reliable ​in a way that you don’t have to worry about your string jamming on crucial moments. Although it is meant for hunting, drawing and shooting is noisy enough to alert your quarry. But, with the right string silencer and stabilizer, you can get this down enough to keep it from alerting your prey. The plastic handle also feels cheap and flimsy and an immediate replacement is recommended before using it. The right handed only design obviously makes it an unsuitable option for left-handed archers. Moreover, its heavier weight could be a bother during hunting trips of longer distances. 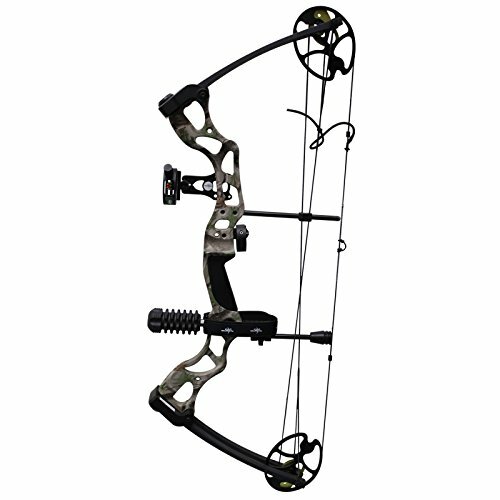 Draw Length: 25" – 31"
The ​​ SAS Rage Compound Bow is primarily designed as an entry-level bow for novice archers just getting started with archery. It is constructed out of durable fiberglass that can withstand countless hours of practice in the range. With its smooth profile of the aluminum cam system, the bow does not demand a strong and developed drawing power from the user. Total novices in archery would want their first compound bow able to withstand the punishment of several misfires. But, this durability must also come at a price that is easily accessible for someone who is just testing the waters of the sport. The SAS Rage is able to give all of these looking for their first compound bow. 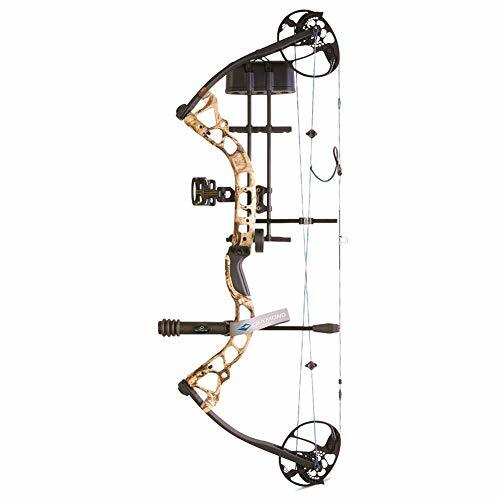 The ​​​ Diamond Archery Infinite Edge Pro is an excellent bow for archers of any age or level. The adjustable draw length and draw weight make it fit for hunting, bowfishing or target shooting. It has its Infinity setting, which can have different people shooting it with minimal set-up time. Furthermore, drawing it is very smooth and consistent, which makes it an excellent beginner compound bow to practice one’s form. What we’ve noticed when shooting it is that it’s very silent and there’s barely any hint of vibration or recoil, which is good for any bow that you would use for hunting. With the included accessories (a 3-pin sight, tube peep sight, stabilizer, arrow rest, string loop, wrist sling, and quiver), you’ve got everything you might need in the field or the target range. Also, the lifetime warranty is an excellent assurance that the bow is expected to last a long time. ​Although ​this bow is limited in hunting capability due to only 310 fps of IBO speed, for its ​cost, you would be hard-pressed to find a compound bow any better than this. A great value to get you all you would need from a beginner’s compound bow. The ​​​ Raptor Compound Hunting Bow is suitable for any age and skill level. 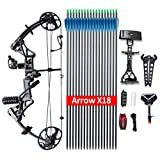 With its aluminum bow and cam system, it is meant to take a beating from growing pains a bow would usually take from a novice and a beginner archer. Its top velocity is among the top for beginner compound bows. The adjustable draw weight and length make it a good bow to get started and grow up to stronger and better bows. It comes with a 5-pin sight, whisker biscuit-style rest, sound dampeners, and stabilizers. For its price, the Raptor Compound Bow is one of the best shooting bows out there. Before you rush off and add the fanciest compound bow to your cart, you must first know a few important things that will affect your choice. A compound bow is not something you could simply pick up from the store shelves. What you buy must fit you specifically, or else your experience w​ill be one that is frustrating, painful, and more expensive than necessary. Although it is an important part of Kyudo, the Japanese martial art of archery, we won’t be asking you to incorporate meditation into your every shot. Like our writing hand, our brain prefers the visual input of one eye over the other. The eye that our brain prefers is called our dominant eye. Put your hands in front of your face at arm’s length and form a small triangle by pressing your forefingers and thumbs together. With both of your eyes open, view and center a distant object with the opening. Close one eye and then the other. The eye that has the distant object centered in the triangle is your dominant eye. An archery store can measure this for you but, if you’re going to purchase online, you can easily do this with measuring tape and a bit of assistance from a friend. First, measure your wingspan or arm span. The value you get will then be divided by 2.5. The result is your estimated draw length. You would want to purchase a compound bow that has the same draw length as you do. Usually expressed in pounds, this is the force one must exert to fully draw a compound bow. Compound bows have different draw weights and you w​ill have to specifically choose the one that suits your strength and intended use for the bow. A greater draw weight translates to a faster and more powerful shot, and a capability of a bow to shoot heavier arrows and arrow points. If you’re a total novice or a beginner, you would have to start with a low-poundage compound bow. As you get more experience, you could eventually move up to heavier draw weights. Also, if you’re hunting, a bigger game would require bows with a greater draw weight. As a general rule of thumb, the suitable draw weight for you is always the one that you can smoothly and slowly draw. This is the length between axles which is found at the end of each limb of the bow. On the other hand, a shorter length makes the bow more maneuverable in tight areas, which is an important consideration if you’re buying a bow for hunting. You would want a compound that has an axle-to-axle length of around 30 to 33 inches. This is the so-called axle-to-axle length “sweet spot” that would suit anyone getting into archery. For this reason, most manufacturers design their compound bows within this range. You should only consider a shorter or longer one for special and specific purposes and when you’re already an experienced compound bow user. The brace height is the distance between a bow’s string (at rest) to the deepest part of the bow’s grip. Although a shorter brace height leads to better shot velocity, it takes greater effort to fully draw the string. Ideally, beginners should start with compound bows that have compound bows with seven inches of brace height. Also known as cam profile, it is the shape of the cams found in the compound bow. Explaining this would be very technical but, to make this simple, all you need to know is the smoothness or roughness of the compound bow’s cam profile or grind. A smoother cam grind translates to a more comfortable draw and a shorter period to hold the peak draw weight. On the other hand, a harder or rougher cam grind translates to a more powerful shot but a substantially less comfortable draw. For beginners, we recommend a compound bow with a medium cam profile. Compound bows in this range have a more natural draw and would provide a better shooting experience – both of which are important for those just starting out. As you get better and more experienced, you might want to try out compound bows with harder cam for its greater shooting power. This is simply the weight of the bow. A lighter compound bow would mean an easier time for you carrying it around. This makes it a good option for hunting. But, this lighter weight translates to more vibration during a shot, which makes more noise when shooting. On the other hand, a heavier bow could tire you out faster carrying it. But, these bows are quieter for its greater ability to withstand shot vibration. 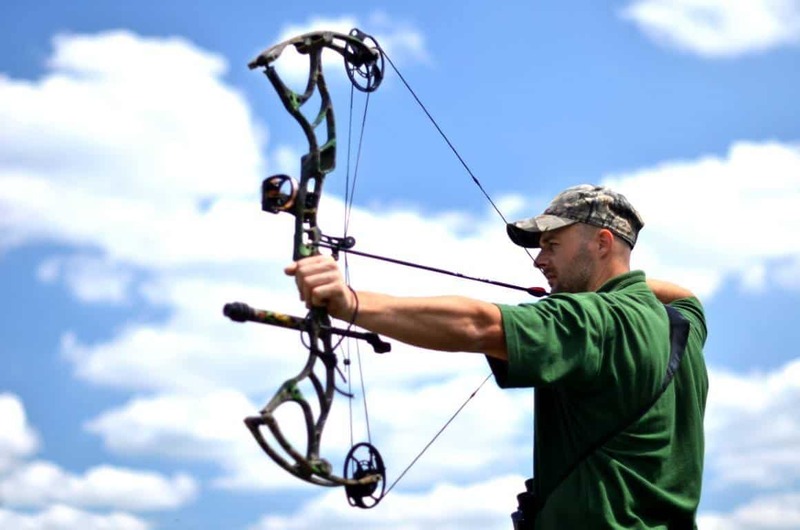 A proper bow stabilizer is a great investment to improve your archery performance. It greatly reduces the vibration of the bow after a shot, providing more balance and better accuracy. It also makes a shot more quiet, which is essential when you're hunting. ​Similar to the sights on ​weapons, a bow sight ​helps you aim with more precision. You'll find two different types of sights for a compound bow: fixed pin sights and sigle pin sights. ​Beginner compound bows usually come with a fixed pin sight included. ​Overall, the ​ Diamond Archery Infinite Edge Pro is our pick among the best compound bows for beginners that you can find ​on the market right now​. A combination of value for money and dependability makes it a very good starter bow. The range of its adjustments for the bow’s draw length and weight make it easy for a complete beginner to build non-existent draw strength into one that can operate higher-end compound bows. Its weight won’t tire you out holding the bow when you’re practicing. It also won’t hinder you from trekking the field when you eventually get started hunting with it. ​More importantly, it won’t frustrate a beginner with frequent tuning and maintenance.